We at home love okra and when i saw this okra curry at Roshans Blog i knew what i wanted to try for this weeks bloghop. I had guest at home and okra was not enough so added potato too. Heat your biggest frying pan and add oil. Add turmeric and potato and cook till half done. Add okra and mix well and cook on medium heat. When okra turns golden around the corner, add salt and pepper. Cook for a few more minutes and you are ready to serve. 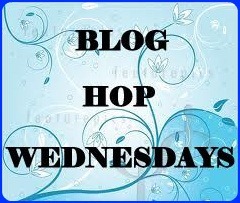 Sending it to bloghop Blog-Hop-Wednesdays" at tickling palates. 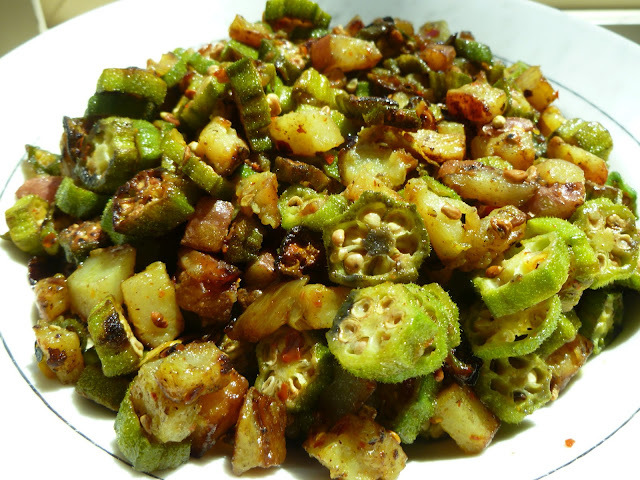 Nice and delicious..never tried okra with black pepper..
Wat an excellent combo,simply love this stir fry.